The School will be held on the campus of the European Commission’s Joint Research Centre (JRC) in Ispra, Via Enrico Fermi, 2749, 21027 Ispra (Varese), Italy. 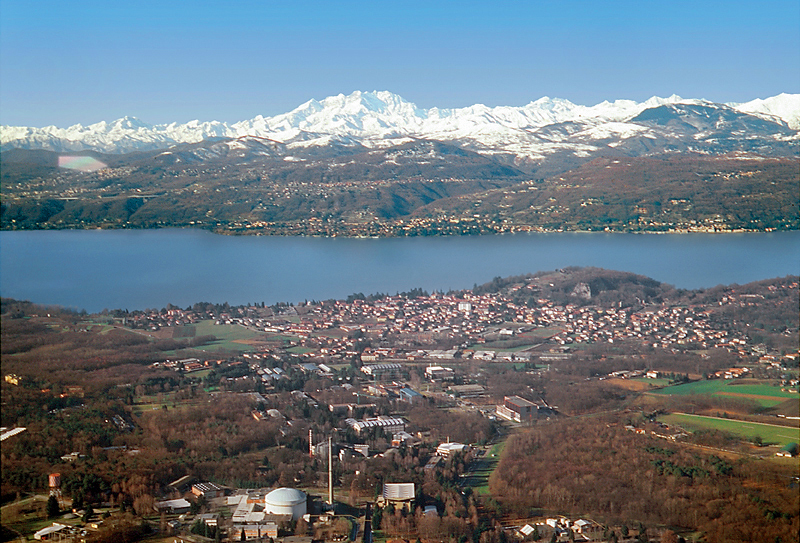 Nested in the beautiful setting of the Italian lakes, Ispra is located on the eastern shore of Lake Maggiore, about 60 km NW of Milan and 27 km from the Milan Malpensa Airport. The Joint Research Centre in Ispra is the third biggest European Commission site after Brussels and Luxembourg. Established in 1960 for nuclear research, Ispra was the cradle of neutron scattering in continental Europe, with the first triple-axis spectrometer built and operated in the early 1960s at the CP-5 type nuclear research reactor. Today the Ispra JRC site is one of Europe’s leading research campuses with many laboratories and unique research infrastructures. A visit of CP-5, currently under decommissioning, will be organized during the school. A free shuttle bus service to transfer participants from and to Malpensa Airport will be arranged by the JRC on the arrival day (Sunday 1st September 2019) and on the morning of the departure day (Saturday 7th September 2019). Prior to the event you will receive information regarding pick-up times. Transport will be grouped which may involve a short wait. Participants travelling to Milan Linate airport or arriving by train to Milan Central Station should reach Malpensa Airport by public transport to avail of this service. The journey time between Milan Central Station and Malpensa Airport is about 50 minutes. Lodging will be provided in single-room accommodation at the Hotel Congress Centre Casa Don Guanella, Piazza Don Guanella 43, 21027 Barza d’Ispra.